Today may be the first time in Freckles in April history that I have blogged an outfit on the day I was actually wearing it. But I wanted to participate in EBEW and for some reason I never remember ahead of time. So here ya go. It's really sunny outside and I'm wearing a red skirt from a dress I chopped up this morning. And my sunglasses are broken. All is bleak. I like lace in theory but in practice I own one article of clothing with any lace on it (an undershirt. Yawn). So I had to bust out the headband I made in 3 seconds during one of my 30 for 30s. It works. I don't own that much lace, either... I did EBEW with a lacy looking bracelet today. Hah. This outfit is so fantastic. I have all the elements to do something like this . . . but I never have. I'm definitely going to be copying this look soon. 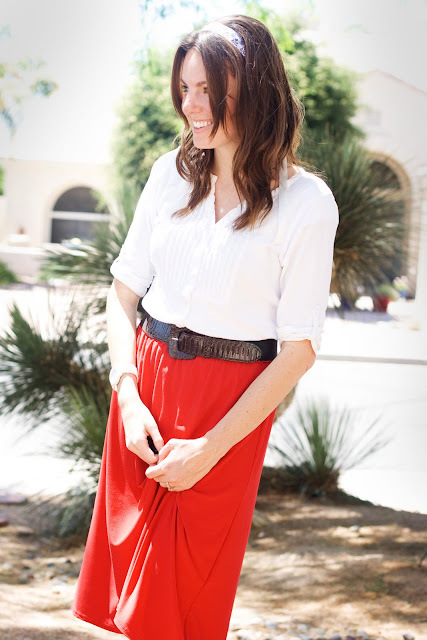 This red skirt is so pretty. I don't own much lace either and had to break out a pair of lacy tights. This looks very chic though. 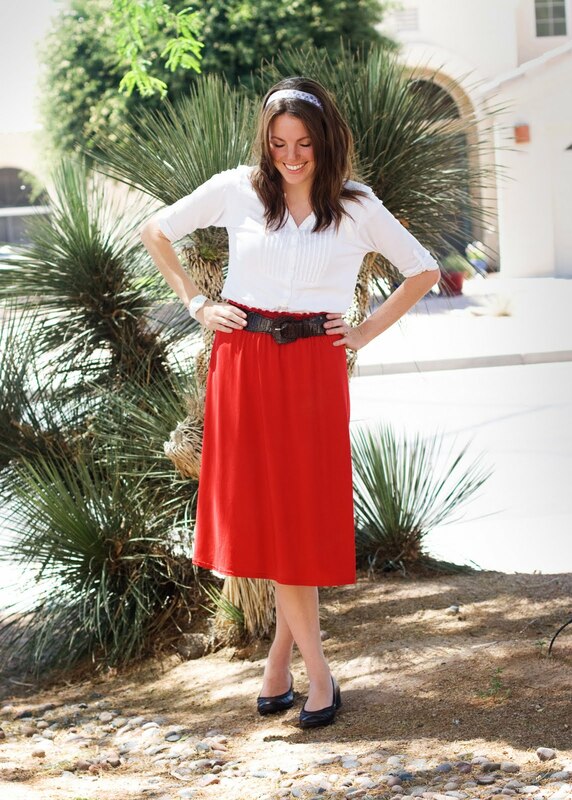 i like the red skirt! also i was just thinking the other day that i might need more lace in my closet. i love lace but don't own much of it either. 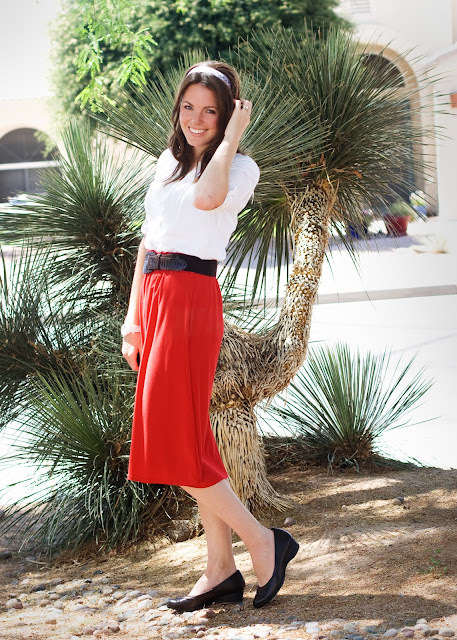 i loooove that red skirt!! Love the DIY headband!! The color and cut of that skirt is amazing!